Sudan has many advantages to attract foreign investment. 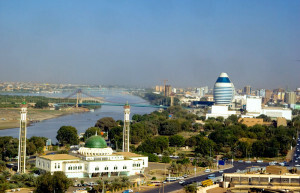 Sudan is classified among the most attractive countries for investment in Africa the Arab region. Acknowledging the importance of investment to boost the economy and to realize direct development, the government established the Ministry of Investment in 2002. The Sudanese investment Act of 2013 is one of the best laws of investment in the area. Nondiscriminatory treatment of the capital of investment, whether be it public, private, cooperative or multi-sector capital. The project of investment enjoys all privileges and would have all guarantees: not to be nationalized, confiscated or ex-appropriated except through a law and against indemnity. The money of the project shall not be confiscated or frozen, except through a judicial order. The investor has the right to transfer his money, in case the project was not implemented, and is entitled to transfer the profits, financing cost to import raw materials and to export products. The project of investment is also exempted from tax of business profits for a term of not less than 10 years and will be given a free piece of land for the project or at an incentive price, beside custom privileges for cars. Stability of political, security, social economic and legal situation as stable policies provide a convenient climate for investment. Socio-economic plans and clear-cut policies stated in the National Strategy for 2005-2029 and phasing devdopment programmes. Adoption of a new concept for encouraging foreign investment and the state is moving towards free economy and privatization in all fields to activate and encourage participation of private sector in socio-economic development. Simplification of investment procedures, provision of facilities, guarantees of incentives for investors and the invested capitals. Flexibility in dealing with foreign currency, pricing policies and removing of any obstacles hindering internal or external trade transactions. The presence of national resources, arable lands, water resources, diversity of climate, animal resources, and vast-natural pastures, in addition to mineral, oil and reserved resources yet to be exploited. Wide opportunities for investment in agriculture, industry, mining and economic service such as transport, storage a infrastructure. The availability of qualified cadres in sectors of agriculture, industry, mining and economic service. The presence of a well-established banking system and banking services extending all over the country in addition to specialized banks to boost investment and development in various fields. The unique location of Sudan at the middle of the continent makes Sudan the center of markets to supply neighboring markets with goods and services. RSS Error: A feed could not be found at http://suna-sd.net/suna/showRssNews/2/en. A feed with an invalid mime type may fall victim to this error, or SimplePie was unable to auto-discover it.. Use force_feed() if you are certain this URL is a real feed. RSS Error: A feed could not be found at http://suna-sd.net/suna/showRssNews/1/en. A feed with an invalid mime type may fall victim to this error, or SimplePie was unable to auto-discover it.. Use force_feed() if you are certain this URL is a real feed.